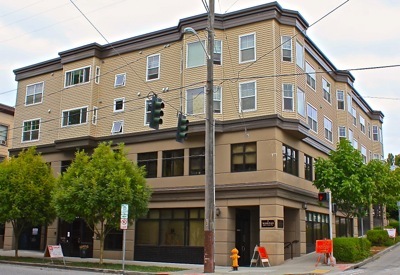 Developed by Wagner Management in 2005, Yesler Place is a four-story, mixed-use building on the corner of 14th Avenue S and Yesler Way with 12 residential apartments and nine commercial spaces. Yesler Place houses a variety of organizations that include legal, political, educational, and psychological services. Current commercial tenants include: ADD Health Counseling Services; CD Forum; King County Juvenile Justice System; Larry Landry, Attorney-At-Law; Seattle Community Law Center; 4C Coalition; and Zeno (formally Explorations in Math). Location is prime for growth due to the improving economy and new light-rail line. Yesler Place is centrally located and convenient to downtown Seattle, Capitol Hill, Seattle University, and Seattle Central Community College. Easy access to I-5 and I-90.